MAX. DIELECTRIC FLUID LEVEL ………… 11.8″ MAX. MAX. WORKPIECE WEIGHT ……………… 1,543 LBS. MAX. ELECTRODE WEIGHT ……………… 11 LBS. 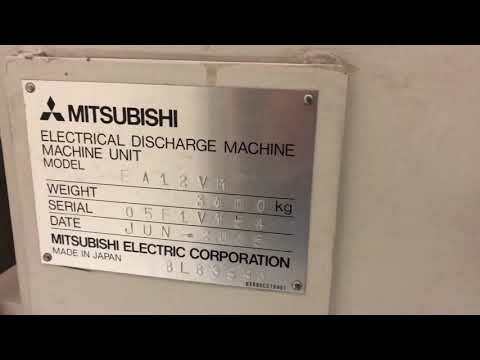 MACHINE WEIGHT INC. POWER SUPPLY ……. 8,157 LBS. VARIABLE DIELECTRIC CIRCULATION, WITH RAPID CIRCULATION. AUTOMATIC TOOL CHANGER USING “SYSTEM 3R” “COMBI” TOOLING. MACHINING TIME ON THIS MACHINE IS 7,532 HOURS!